just added one video - ED 008 is the Mandalay Mix. Hello all,not got a copy of this yet, really,you need this record. No serious collection is complete without this record. Theres two versions,the first press with coloured label and usually pressed on translucant vinyl, second pressing black and white label and black vinyl,thats all folks. 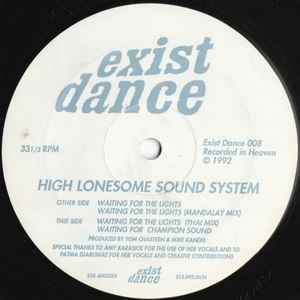 This has to be one of the best Exist Dance Records there is. The Thai mix is mind-blowing - real spaced out acid music but with a rasping, hoover-style sound that still sounds amazing and not too dated. The rhythm and beats in particular are pounding but with a funk that characterises its west coast origins. And that Indian vocal refrain throughout is simply hypnotic. And not just that, it just keeps on building and building. So what you waiting for? Find the lights! !